A glittery bar and club featuring popular, long-running drag and burlesque shows. 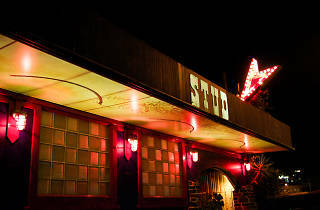 The Stud is one of San Francisco’s most illustrious nightlife venues that has, over the years, drawn a number of queer celebrities to its stage and dance floor. Occupying the corner of 9th and Harrison in SoMa for over 50 years, this worker-owned cooperative (the first worker-owned nightclub in the U.S.) is also the birthplace of legendary drag show Trannyshack. Every Tuesday night is “Sing til it Hurts” karaoke. Fridays from 7p-10p is the country’s longest running queer burlesque show, Red Hots Burlesque. And when 2am rolls around and you find you just aren’t ready for the party to end, never fear! 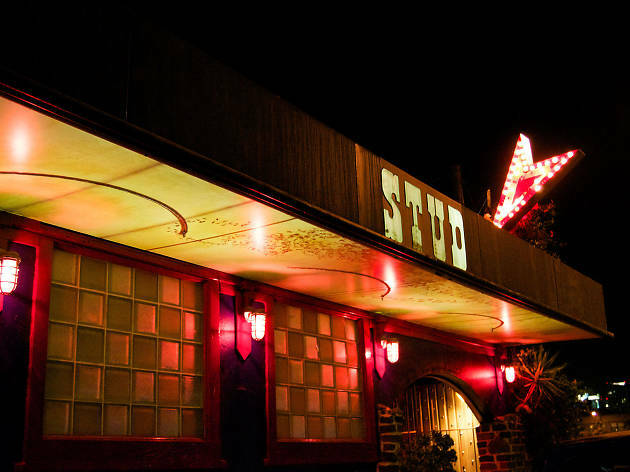 Thanks to a special late-night license, on Thursday and Friday The Stud’s doors stay open a full hour later than any other bar in the city. Nice place. Saturday night is disco night. Would have been nice to know. Not my cup of tea.